Passionate about people, products & guests? If so we want to meet you! We are looking for people whose talents include a people-focused management style, a great smile, enthusiasm, urgency, intelligence, attention to detail, and results-oriented. If this describes you, we want to teach skills that allow you to reach your full potential and maximize your earning potential. Our growth plans include 3-5 new locations opening per year in the Houston, Austin, San Antonio & DFW areas. 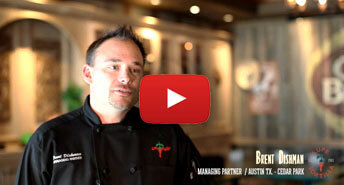 Lupe Tortilla management teams consist of five leadership roles. Upon completion of training, our managers become part of a successful group. Our management teams are admired, highly-trained, professional, and the best-compensated in the industry. Responsible for overseeing and directing the operations of all aspects of store operations, including personnel staffing, training, product quality, guest service, facility maintenance, environment, ambiance, sales growth, cost controls, and profit margins. Responsible for managing all staff, facility, products, customers, and inventories. Responsible for managing customer relations, all FOH staff, facility, products, and inventories. Responsible for managing the kitchen staff, facility, products, and inventories. 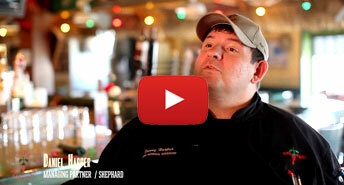 Responsible for managing the bar staff, facility, products, and inventories. Get ready to roll, get ready to set the standard! Our training program is a comprehensive six week experience. As a Manager-in-Training (MIT), you will gain a full understanding of what is expected of you as a team member of Lupe Tortilla. MIT's will learn all the functions of each position and the management skills for both the kitchen (BOH) and dining room (FOH). Two-thirds of your training will be learning methods of the kitchen, recipe and plate presentations. It's our belief to provide the very best table and dining service but it is what happens in our kitchen that really makes us the leader in our industry. Lupe Tortilla's benefits package is more than just the norm; it's a unique total package, including an assortment of benefits that will allow you to enjoy your personal life as well as having great medical coverage compensation. That's why we provide eligible team members with outstanding benefits. 2018 Lupe Tortilla. All right reserved. Position: Restaurant Manager Location ATX SATX HOUTX DFWTX OTHER *Acceptable file types: pdf, Microsoft Word. Not to exceed 2mb in file size.